Gary’s participation in the harvest season decamped with the wheat bedded in the silo’s, another resolution completed, the full complement of the John Deere service personnel once again able to perform autogenous, no longer a paid subscriber to the needs of the beckoning of the Custom Harvesters. The service department staff having been enlarged with the inauguration of the new assembly shop, continuing with Larry Foster as service manager, Jim Pulliam, Denny Callison, Keith Hoffman, all mainstay diesel practitioners and an addition of Bill Duval and Ron Zahnter. The fall season having arrived upon the kindred land, the stubble of consequence remaining but finding its earthen substance orbited by eight, twelve and sixteen bottom plows. 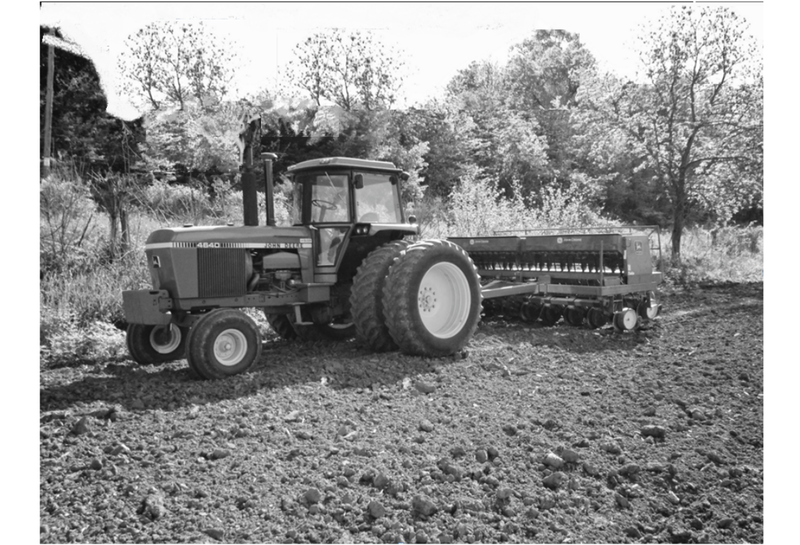 The tilling of the soil a prerequisite before commencing the winter wheat drilling process, the insertion of the seed with the tractor-pulled seed drilling implement. 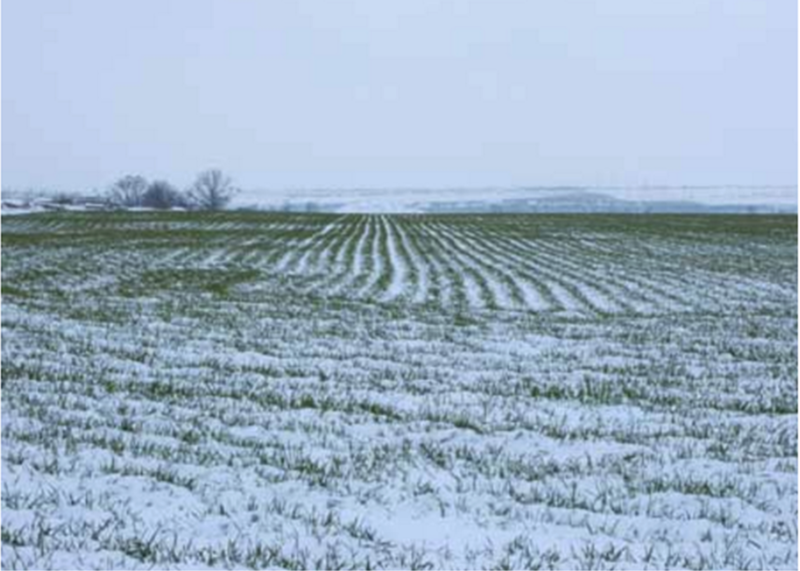 Gary always amazed at the wheat adorned landscape during the winter months, the frontal winds venturing down from the north, displaying a biting chill, casting a cold infraction. Within the domain of the city limits the lawns of bermuda grass laid brown and dormant but the bounding fields of winter wheat were nor, giving notice to all, the seedlings arising painting the winter landscape with a blanket of green, a prerequisite sign spring would prevail again. Gary turning the key to the entrance of the Service Company at 7:00 a.m., opening the store five days a week and alternating Saturday with Jerry Whitney. On arrival, a normal day would find farmers seated in pickups waiting but this morning was different, Steve Miller and brother John, who normally didn’t come in until later were already there. Steve taking Gary aside promulgating that a sign be placed on the door that they would be closed between 8:00 and 9:00 a.m. this morning. Gary’s curiosity being aroused ventured a questioning expression, Steve prescribing that they were having a company meeting. At 8:10, everyone assembled in the service bay area, the group standing in silence, Steve Miller beginning his dissertation addressing the gathering about customer service, their responsibility as representatives of the company when dealing with the public. Moving on he addressed the shop personnel about adhering to the prescribed flat rate time especially when servicing the sales departments combines, tractors and implements. Continuing he said he was well aware of the extended break time that many took, he realized that the mechanics couldn’t just stop in the middle of a project to take a break but reminded them there were only two break periods, one in the morning and one in the afternoon and although he hadn’t yet, he wasn’t above having them clock out for their breaks. In conclusion addressing everyone, his voice raising spewing that he had noticed the tendency of workers standing about while on the clock with a soft drink in one hand, then sternly reprimanding all with a statement, “I can’t recall hiring any one hand employees”. The meeting adjourned, the employee giving witness to Steve Millers appropriately stated petition. It was hard to believe if the rumor was true, an unbelievable account, an occurrence that would resonate thru the Kiowa community. Gary first hearing about the event from John Miller, it concerned Jerry Whitney and of all things, Cattle Bale Feeders, Jerry having ordered the bale feeders as part of the sales inventory. 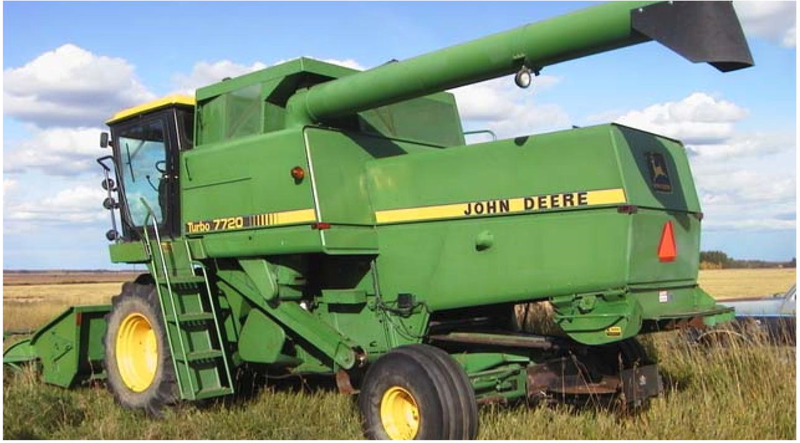 As the drawn-out story read, a farming customer purchased several bale feeders, meeting Jerry where they were stored at Fred Dumlers barn northwest of town. When confronted with the non-payment, the person came forward with a cancelled check for the full amount, the only disparaging quagmire being, the check was not made out to Kiowa Service, but to Jerry Whitney. It became apparent after being brought to Steve Miller’s attention there was more to the story as Steve called John Blunk, the Barber County Sheriff to investigate. Jerry renowned for his integrity, Gary having witnessed Steve in attesting to Jerry’s trust worthiness, that he could leave his wallet with Jerry. The whispered rumors around town persisted, that Jerry’s wife Teresa, who was the administrator for Dumler Cattle Company was someway involved leading to Jerry’s indiscretion. 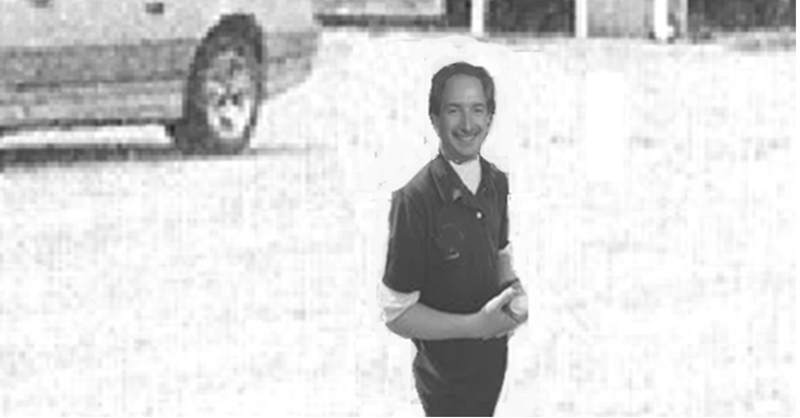 Gary opening the store Monday morning, being told that Jerry wouldn’t be in, the word surfacing that Sheriff John Blunk had visited with Jerry admitting his indiscretion, Steve Miller willing to let the matter drop in lieu of restitution and Jerry’s immediate resignation as parts manager. Gary was perplexed, finding it totally unbelievable, there was more to the story, a person of Jerry’s unquestionable character would never commit such a degradation, but his absence as an employee spoke for itself. Several days later Steve Miller convoking Gary to his office and as was his habit probing for conviction, questioning and asking the employee to give a self appraisal in fulfilling the position vacated by Jerry. Gary was realistic, not altogether surprised at being thrust into the management position given the fact that harvest was fast approaching and it would be difficult finding a more experienced person. Donning his best stature of self-assurance he expressed his confidence, aware of the responsibility and was up to making the parts department ready for the upcoming harvest season. Steve suggesting that if he had any questions he might visit with Larry Foster the service manager about the inventory for harvest. With the new responsibility also came an increase in salary and he began a concerted transformation with new concepts for the parts department, no longer bulk stacks of five gallon drums of oil and hydraulic fluid, indiscriminate barrels of miscellaneous tools and item. An organized presentation of Deere’s products, the initiated life-time guaranteed John Deere tools, a display of clothing, wanton miniature replication for the young, a paradigm of tillage and lawn and garden applications, the store now providing an accepted family accouchement. Parts department clerk Barbara was leaving, Gary having hired Kathy Rathgeber to replace her, Kathy having originally worked for Larry in the service department desiring a change and was already skilled at pricing service work orders and cataloging sales for inventory control. Another new person coming aboard was Craig Brattin, a very personable good nature addition who would work well up front in customer service. While under Jerry Whitney’s direction Gary addressed the shop service window, having to be exact in acquainting their needs, a mistake for service call parts would find the person returning with a barrage of expletive-deleted, a mistake was a disservice to them and the customer, costing both the flat-rate scaled mechanic and down time to the customer. 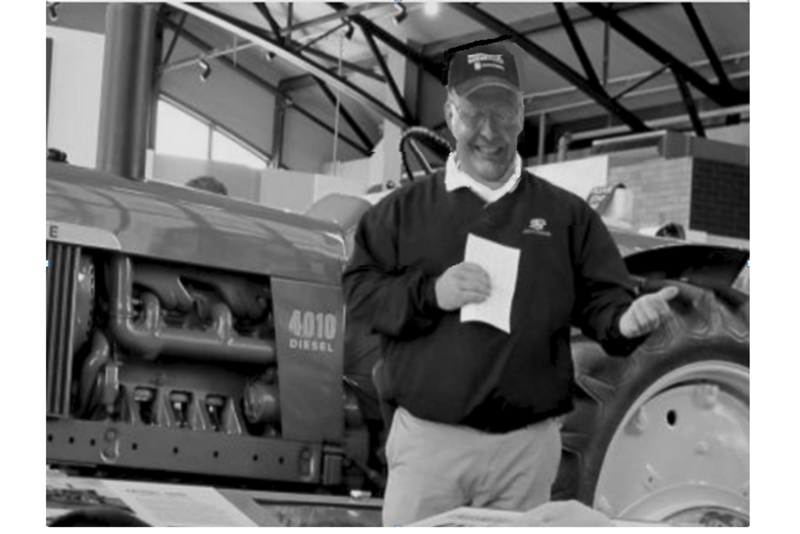 Gary when first employed had experienced the tribulation working the front counter, not knowing a plowshare from a drill boot, giving Brattin assurance, if he needed assistance Gary was always available and if alone and not sure, give the customer the parts manual, letting them decide their needs, finding the farmer knew their equipment and implements. In essence the acquisition of knowledge in itself is more than a learning experience, it’s an act of certitude. This entry was posted on July 30, 2016 at 7:46 pm and is filed under Uncategorized. You can follow any responses to this entry through the RSS 2.0 feed. You can leave a response, or trackback from your own site.